Visit by Rural Commission – The Parent Council has been in serious discussion with the Highland Council over cutbacks that have affected the provision of local education in recent years. Although the school still performs very well the concern is that it has become increasingly difficult to provide a broad curriculum for pupils. The Parent Council understands that cuts are necessary across all areas of society at the moment however they have questioned the validity of the mechanism used by the Council and feel that rural areas are being disproportionately undermined. Highland Council Education Culture and Sport, our local Councillors, parents and members of the community along with the High School made submissions to Commission for Rural Education and invited them to visit Gairloch as part of their evidence gathering. We found out recently that the Commission does indeed plan to visit. They will visit the school during the day and hold a public meeting in the evening. The schools in this area are the hearts of our communities and we hope that everyone will take the opportunity to come along and talk to the Commission on 19th March. The Commission on the Delivery of Rural Education, chaired by Sheriff David Sutherland, is tasked with examining how education in rural areas is working for local people and how this links to rural community life. The Commission are holding a public meeting in this area, as we would like to hear from all the people who have been or may be affected by these issues. There will be the opportunity to hear from Commission Members and to ask any questions you may have. To examine and make recommendations on funding issues surrounding rural education. It is vital that as many interested parties attend this meeting as possible. Show support for your local schools and make it clear that you wish your community to thrive. It’s that time again – Grand annual fundraiser for S1 Nethybridge and selected charities. INSET Days – On Wednesday 15th February, Thursday 16th February and Friday 17th February school staff took part in In-Service Training Days. Over the three days staff were involved in meetings in Inverness and locally in the High School. These meetings allowed staff to discuss, plan and develop various aspects of Curriculum for Excellence – the current Scottish Government initiative for improving education. Various meetings allowed staff to meet with colleagues from other schools across Highland to discuss changes to courses that will replace the current Standard Grade and Intermediate exams taught to pupils in S3, S4 and S5 particularly. These changes are dramatic and teachers have a great deal of work to do to incorporate the new exams and associated courses into the curriculum. Meetings also took place with Primary colleagues to further develop links that will assist children progress smoothly between Primary and Secondary. We think we do this quite well already but we know we can always do better. Culture Club – Our latest trip to Eden Court, with a minibus filled with pupils and teachers, was to see ‘Sleeping Beauty’ by Scottish Ballet. The performance was well appreciated by everyone. There were beautiful sets and an interesting 100-year leap in time allowed for wonderful Dior-style costumes in the last act. The dancing was marvellous, as we have come to expect from this company. However, as each dancer came on for the umpteenth time to do yet another turn, many of us felt that we should by that time have been back on the bus, homeward bound, and the general consensus was that the ballet was approximately one act too long! 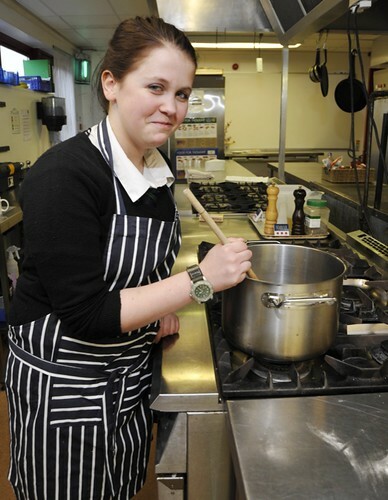 Future Chef – After winning the school heat of Future Chef, Holly Morrison, S3, qualified to take part in the next round which was held in Fort William on 24th January. Holly competed against older pupils who had entered before and here she tells of her experience. I was lucky enough to be mentored by Lis Broome from the Whistle Stop Café in Kinlochewe, Lis helped me to plan my two course menu, well balanced and within the budget of £6. I decided on Chicken Breast stuffed with Chorizo coated in Breadcrumbs with a Tatziki sauce, served on Red Pepper and Lemon Couscous, followed by Apricot and Pecan Crumble. On the 24th January my dad and Lis took me to Fort William and I had 90 minutes to cook my two dishes. The competition was tough and I was very nervous. We presented our meals to four judges and I was really pleased when they said that my dessert was wonderful. The competition was really enjoyable and even though I did not win, I have learnt lots of valuable skills. I would like to thank Lis Broome for being an amazing mentor and being an enormous support to me throughout the whole competition. I would also like to thank Mr Milner for encouraging me to enter Future Chef. 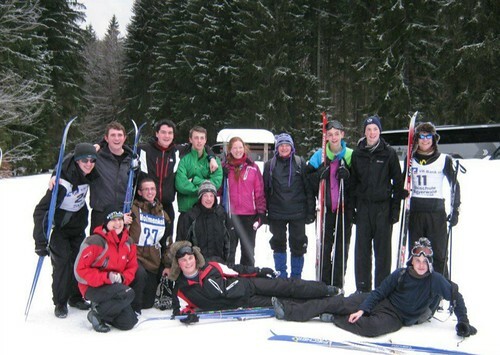 Nordic Ski Trip to Zwiesel, Bavaria – Kieran Morrison (S5) was given the chance to represent the Scotland and Northern Ireland ‘region’ through the local Air Training Corp. This Nordic Ski trip is very challenging, Kieran showed great strength and determination throughout, particularly during the harsh weather conditions. Not only did Kieran pass the Bronze award, he also completed the Silver award. This is not an easy achievement as many cadets (and staff) take several attempts to pass Silver. Kieran also represented the region in the relay and received a Regional Blue for doing so. A very successful week for Kieran – well done! Click on the photo below to read Kieran’s report of his experience. Scottish Indoor Rowing Championships – On 29th January the Scottish Indoor Rowing Championships were held at Heriot Watt University in Edinburgh. 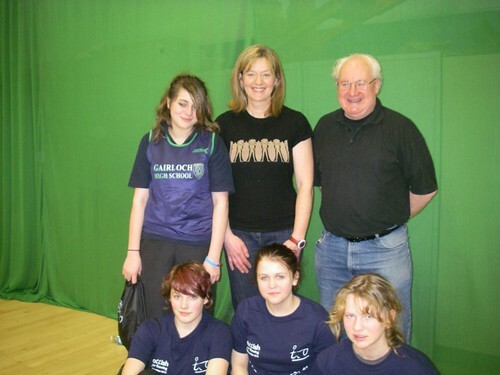 A team of 4 girls from Gairloch High joined 500 other competitors in a day of racing on Concept2 indoor rowers. Siobhan, Holly and Eilidh raced in the U14 event, and all posted personal best performances. Siobhan placed 7th out of 19 with a distance of 733m in 3 minutes, Eilidh was 12th with 705m and Holly was 17th with 624m. Sofie competed in the U15s recording 927m in her 4 minute race, placing her 15th out of 24. The girls also raced in the U15 team event – a 1000m race of the same format we use at GHS for our inter-house rowing competition. They all rowed out of their skins, completing the distance in 3:57.3 and securing 3rd place – an excellent result! After their events, the girls were treated to a coaching session from Ian White, a coach with Scottish Rowing, who gave them pointers to help their technique. The girls all agreed that the best bit of the weekend was the team race, although warming up on a rowing machine beside Sergei, a Russian Olympic rower, came a close second! Click on the photo to see more on this website. 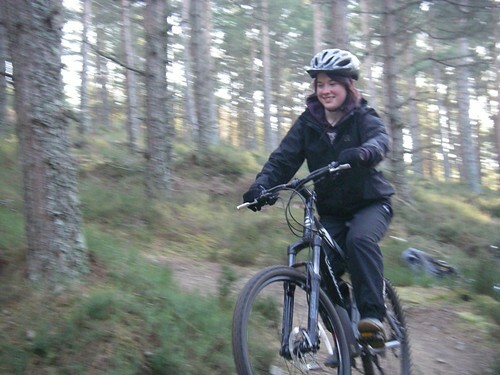 Mountain Biking at Learnie – On 1st February, the S3 Outdoor Education class took a trip to Learnie mountain bike trails on the Black Isle as part of their Intermediate 1 mountain biking course. The group spent an afternoon the previous week cleaning and making essential repairs to the school’s fleet of bikes, learning how to adjust gears and brakes and how to conduct a thorough bike check. Learnie has a choice of purpose built trails with several kilometres of well-designed, easy ascents and sweeping downhill sections through the forest. In sunny conditions, the group completed part of the blue moderate route. This was well within the capabilities of some in the group, but other, less experienced cyclists, struggled with the climbs and realised that their fitness levels and skills at using gears still need improvement. On the final descent of the day, 4 members of the group took the opportunity to descend by a more technically challenging route and enjoyed the fast corners and bumps on the way back to the minibus. Mr Bowker and Mrs Johnston accompanied the group and you can see some photos on the school website by clicking on the photo below. Comenius Project Italy – The Comenius Project continues with a group of five senior pupils – David Gorman, Leanne Mackay, Margaret Matheson, Kieran Morrison and Ian Paul – travelling to Breno in Italy for a week of cultural activities from 18th – 24th February. They will be hosted by families in the same way as the community supported our visitors from Italy, Germany, Greece and Latvia in October last year. Breno is situated in the foothills of the Alps at an elevation of 1200 feet, in an area steeped in Roman history. The pupils will be accompanied by Mrs Campbell and Ms Mackison. Our thanks to Mrs Dorothy Malone (Gairloch Heritage Museum Archaeology Project) for her invaluable help with background material about Flowerdale for their presentation to the other students. Important dates – More detail is available here on the website.